BIOTEC was present again at ECOMONDO 2018 fair which took place in Rimini from 06/11/2018 to 09/11/2018. The booth was busy all time with Italian and foreign visitors. 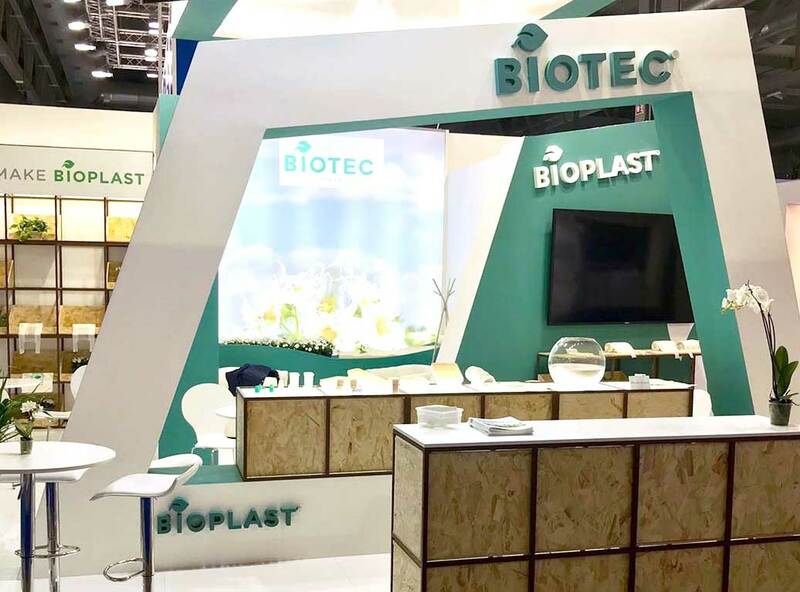 Most of the attention was given as usual to the high quality of the bags made with Bioplast materials, well recognized in the market as the materials free from bad smell and with GMO free potatoes starch content which provides high bio based share. A stronger attention is coming from all those producers of rigid single use plastics tools, such as disposables, plates and cups especially after the publication of the last EU Directive about SUP. Italian market continue to increase the process of replacement of plastics bags with compostable ones according to the law and BIOTEC provides proper solutions to achieve more and more this target.